The Girard High School basketball team brought home the Trojans 1st ever Class 3A State Championship this season and now they’d like to bring home the rings! Each and every one of these boys as well as their coaches worked hard to earn this championship. They all played a huge part in the Trojans success on the court and they all deserve to take home a remembrance of this historic achievement. Each ring is estimated to cost approximately $300 – $400 and we would like to make sure each player and coach are able to have one they can wear with pride. 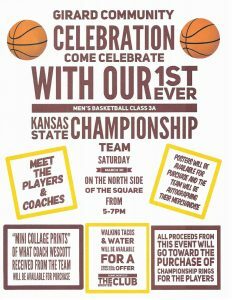 Let’s pay it forward to our team and coaches! Please join many of our local businesses in donating a portion of your sales on Saturday, March 30, 2019 to help fund these purchases. If you would like to donate directly please feel free to mail your donation to Girard USD#248 , 415 N Summit St., Girard, KS 66743. Please make your checks payable to the Girard Booster Club (PLEASE INDICATE IN THE MEMO: RING FUND) or you may drop it off at American Family Insurance 100 S Ozark St., Girard, KS 66743. 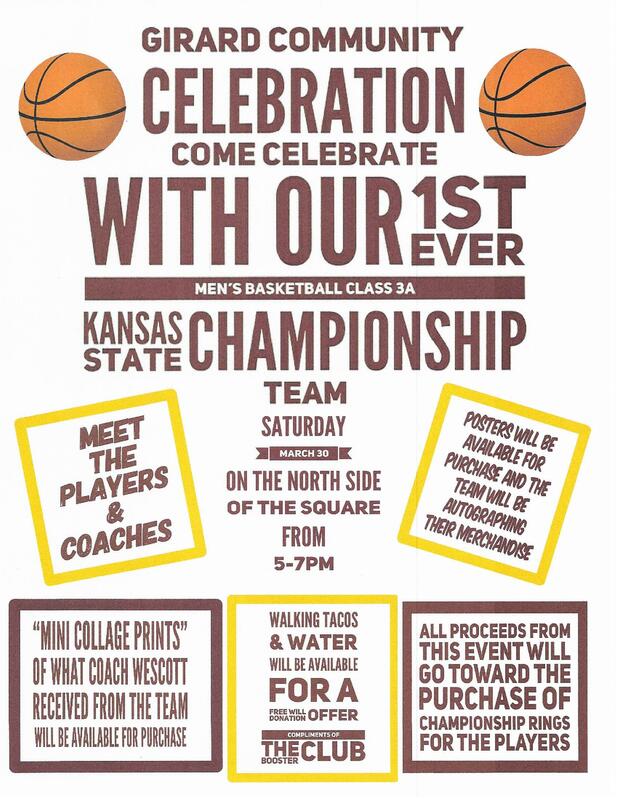 The Booster Club is also sponsoring a meet and greet with the team and coaches on Saturday, March 30th. Please see flyer for details.